Many would-be homebuyers assume that spring and summer are the best times to buy a new house. After all, the kids are out of school, the weather’s nice and it seems like that’s when all the inventory hits the market. Why not use the nice weather and extra time to your advantage? Lower Prices: There’s often lower demand in winter. Sellers will typically have to work harder to sell their homes during this season. That means price cuts, more concessions and maybe even some extra negotiation room for you. 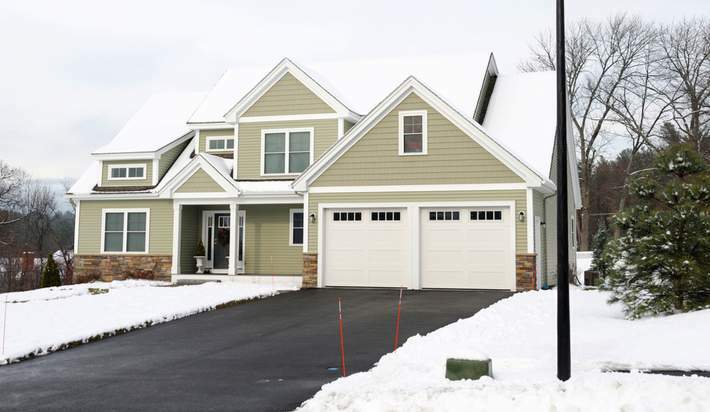 Less Competition: Fewer people buy in the winter, and that often means a smoother homebuying process. You’re also less likely to contend with cash buyers and bidding wars, making it easier to get into the home you want. Faster Timeline: All of the above means a potentially faster, more efficient closing. With fewer buyers to handle, inspectors, appraisers and agents are more likely to be able to work on your timeline. Movers, handymen and home cleaning services may also have more availability. These are just a few of the benefits of buying in winter. If you’d like to learn more about what’s happening in the housing market right now or learn about your home loan options, get in touch today.